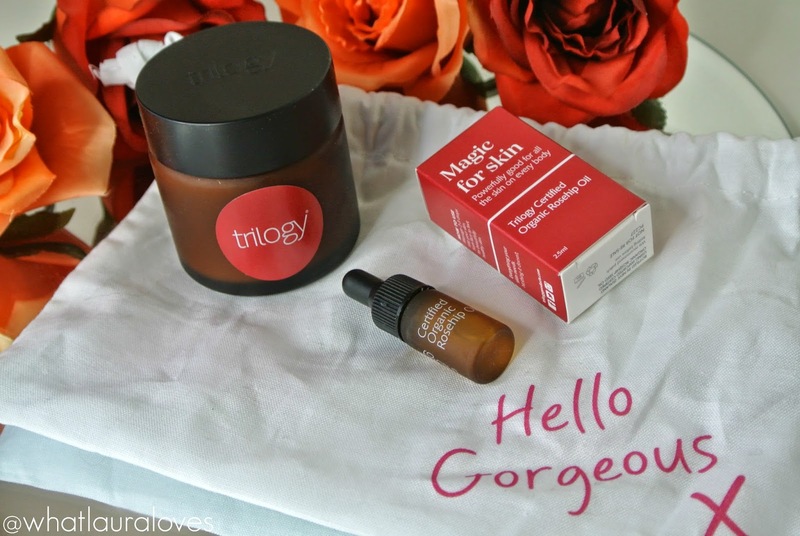 In the past, natural skincare products have been traditionally thought of as being poor performing in comparison to their high-tech synthetic counterparts, however natural skincare brand, Trilogy, have bridged the gap between the two as their products are all natural without compromising on performance. 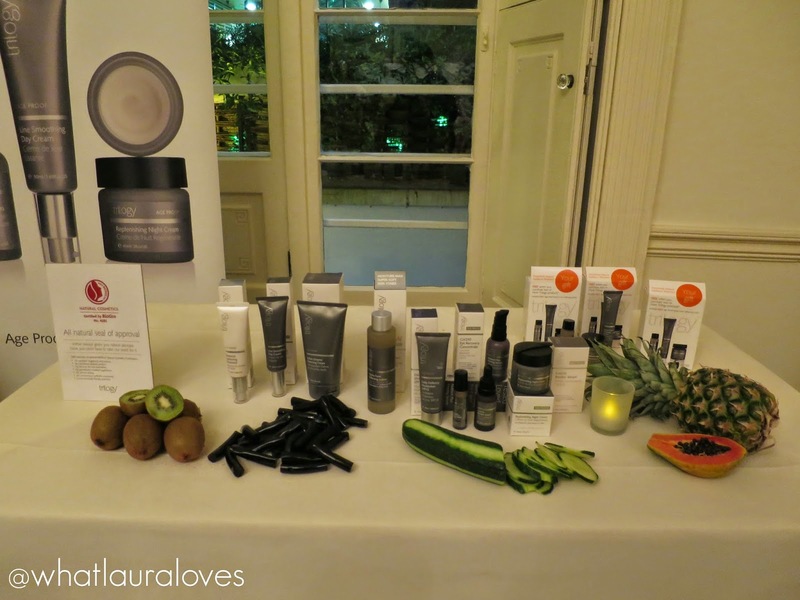 I recently travelled down to London to attend an event with Trilogy skincare. 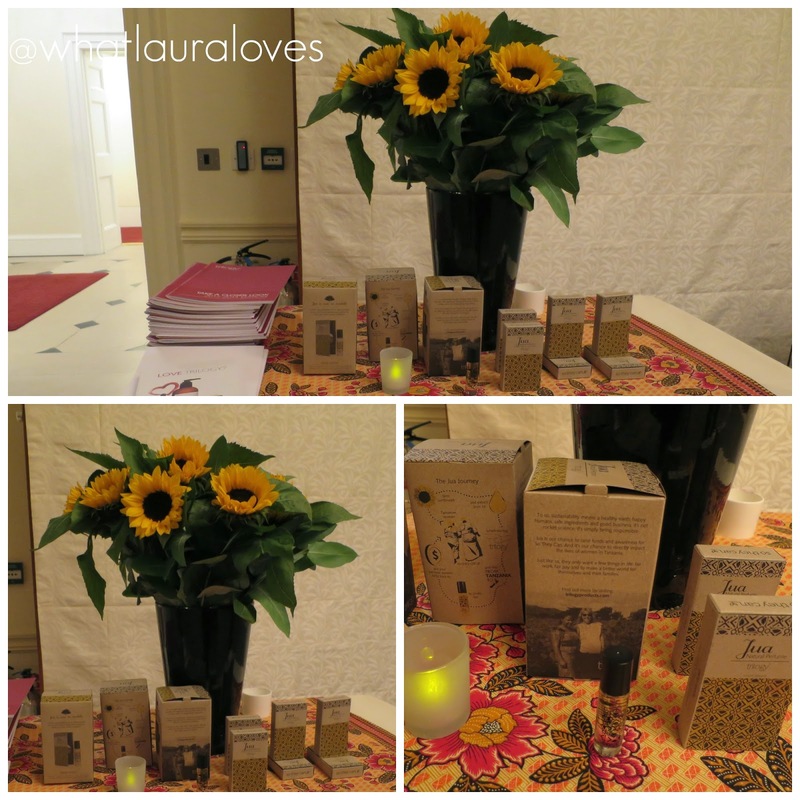 This was a great opportunity for me to see the full Trilogy range of products, some I have tried before, some I haven’t and I got to learn lots about them all. The range above is the original line with their Certified Organic Rosehip Oil which is the signature product from the range and an ingredient that is contained in all of their products. The golden oil that is extracted from rosehip seeds is an incredibly effective natural ingredient that the skin just loves, including mine! This is the Trilogy Age Proof range which is their higher end line that contains some upgraded ingredients. It has a slightly higher price tag but for ingredients like active fruit enzymes, CoQ10 and hyaluronic acid it is well worth it. The range up there on the left is the very gentle line which is designed specifically for sensitive, reactive skin and features a cleanser, serum and moisturiser. I was so happy to discover that Trilogy are a brand that give back too. They are currently supporting the charity, So They Can who are an organisation that educate and empower African communities. For every bottle of their first perfume, Jua, sold, Trilogy will donate two New Zealand dollars to So They Can. Jua means ‘sun’ in Swahili and is a completely natural perfume that has a fresh floral scent including notes of bergamot, rose and freesia. 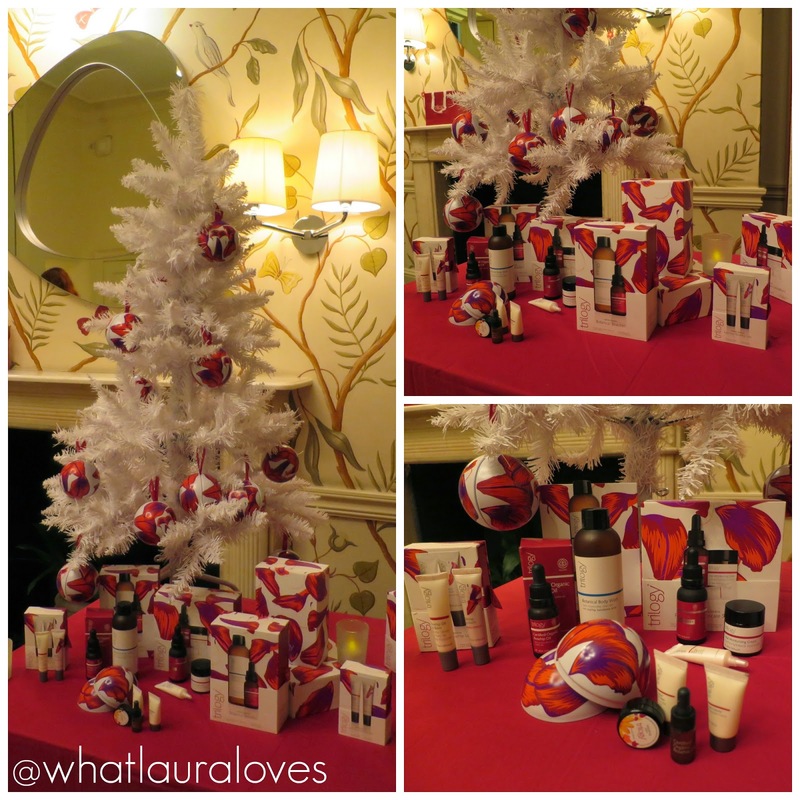 It was the Christmas gift sets that really interested me as they look as though they would make a great present for any skincare junkie this year. If you’re buying for someone who loves lip balm, theres the Luscious Rosehip Lips Collection which is my personal favourite as it contains a limited edition version of their original Rosehip Oil Lip Balm that has a lip smacking red tint and spicy cinnamon flavour. My other favourite has to be the Hand Cream Trio. 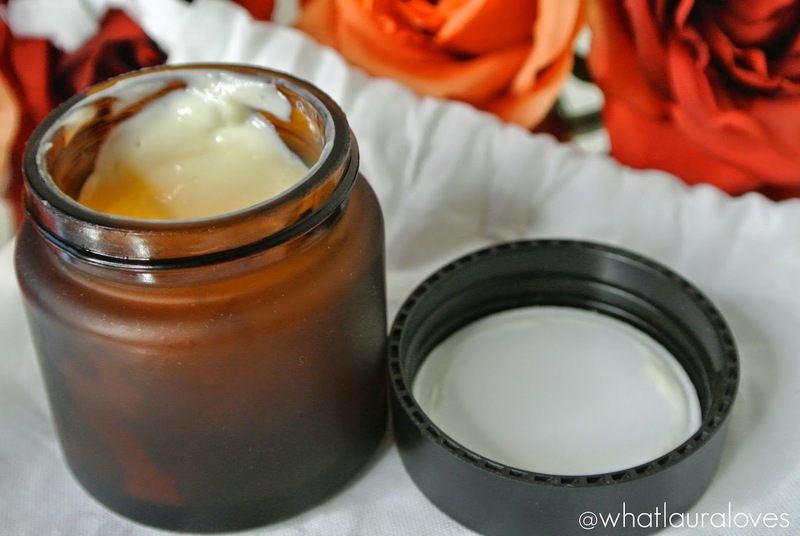 I LOVE popping a tube of hand cream into my bag before heading out of the door, especially during the winter months where they wind and cold weather play havoc with my skin. This would be a great set for a friend who works in an office too. When I worked in a big office, I liked to keep a tube of hand cream in the drawer by my desk to moisturise my hands in between all of the typing I had to do! If you’re looking for a way to introduce your friend to Trilogy then the Rosapene Skincare Sensations Collection is a great option as it contains some of Trilogy’s best products- an eye cream, oil and a moisturiser, whereas the Trilogy Botanical Beauties Collection is great for treating someone who likes skincare and body care in equal parts as it contains Trilogy’s best selling Rosehip Oil as well as a bottle of their Botanical Body Wash.
Feel Unique have a brilliant range of Trilogy gift sets here that have 10% off at the time of writing. John Lewis do too as do Look Fantastic, who have 25% off the Botanical Beauties Collection at the moment using code TOP26BEAUTY and BodyKind who offer a free bauble containing four mini Trilogy products when you spend £20 on Trilogy products. The official Trilogy website also offers the same gift with purchase with any two products purchased. The most fun part of the evening was when we got to create our own Vital Moisturising Cream. As bloggers, we sat as a group around a table to add the ingredients to our jars and blend them together. The whole process was pretty straight forward which just goes to show that there are no nasty chemicals to be added to the mix! 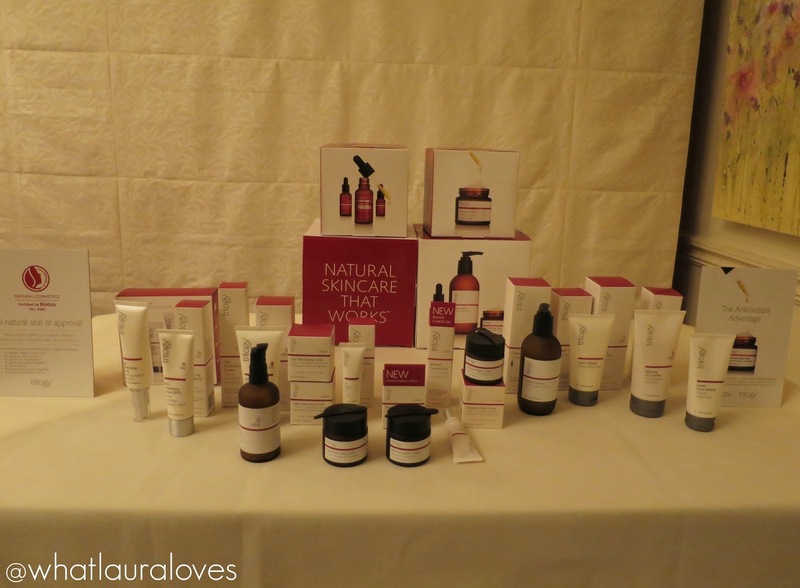 We got to take home our creation along with a mini bottle of the Trilogy Certified Organic Rosehip Oil which I love as it is so nourishing and calming on the skin. The Vital Moisturising Cream is an intense moisturising cream that is designed to smooth the appearance of fine lines and wrinkles by nourishing and hydrating the skin. While the formula is a little heavy for my oily skin, this moisturiser works wonders for Mr WLL who has drier skin than I do. He says that it sinks in quite quickly and leaves his skin feeling soft and supple (or words to that effect!). Since attending the event, I have been trying out lots of different skincare products from Trilogy and I will be ready to share my thoughts on those very soon! In the meantime, do let me know what your favourite Trilogy products are in the comments. You can shop Trilogy products from their website as well as from Feel Unique, Look Fantastic and John Lewis. Previous Post Bblonde Maximum Ombre Kit GIVEAWAY!